Give yourself 20 minutes in the kitchen to cook this really Simple Vegetable Pad Thai. A little taste of Asia without too much preparation required before cooking. 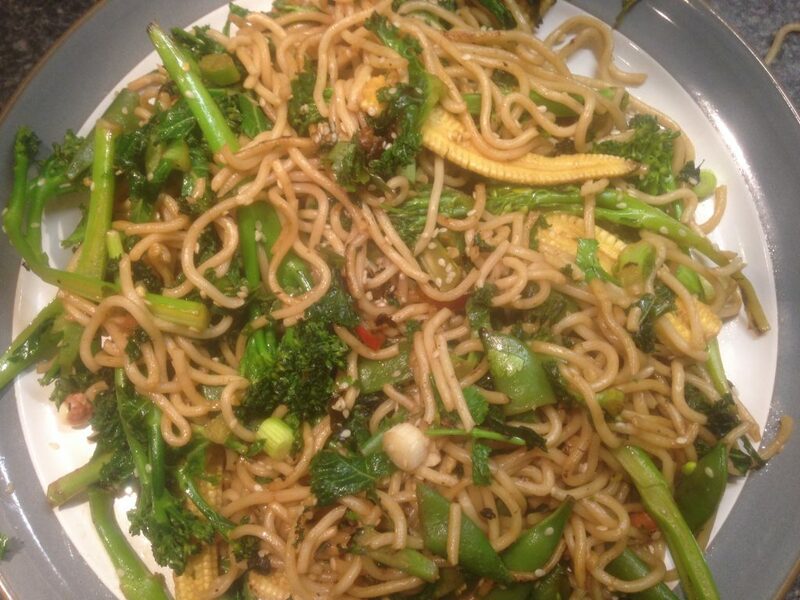 Prepare all the veg and ingredients before starting this dish as it’s all pretty quick once started. 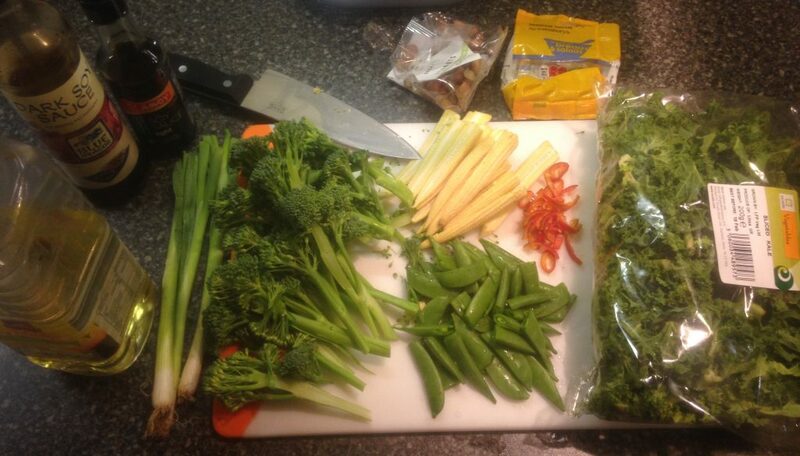 Trim the ends of the broccoli and slice down the middle length ways. Cut the sugar snap peas and baby sweetcorn in half. Finely chop the red chill. Now it’s time to high heat a wok and spoon in the oil until smoking hot. 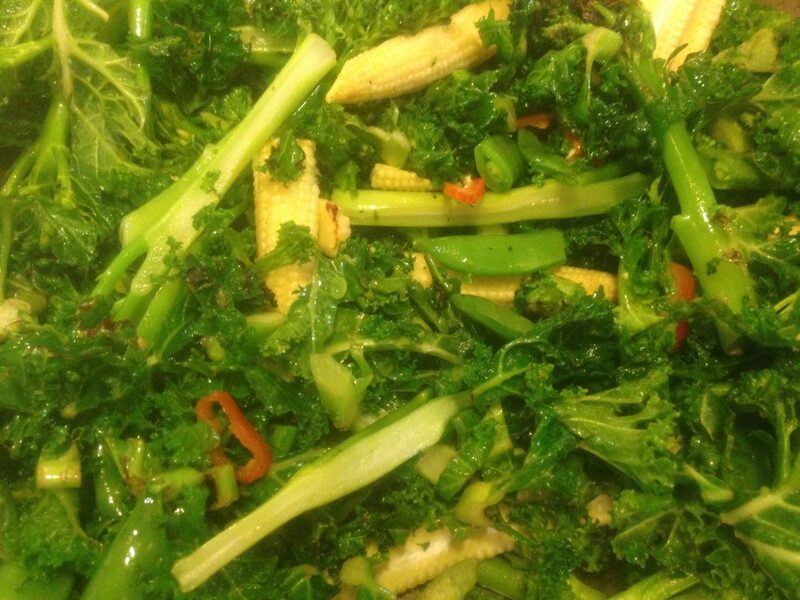 Add the kale, broccoli, sugar snap peas, baby sweetcorn and chilli into the wok and stir fry for 3–4 minutes, making sure to keep it moving so it doesn’t burn. Add the light soy sauce and keep mixing through for 30 seconds. Add the noodles ensuring they are loose and add the dark soy sauce. 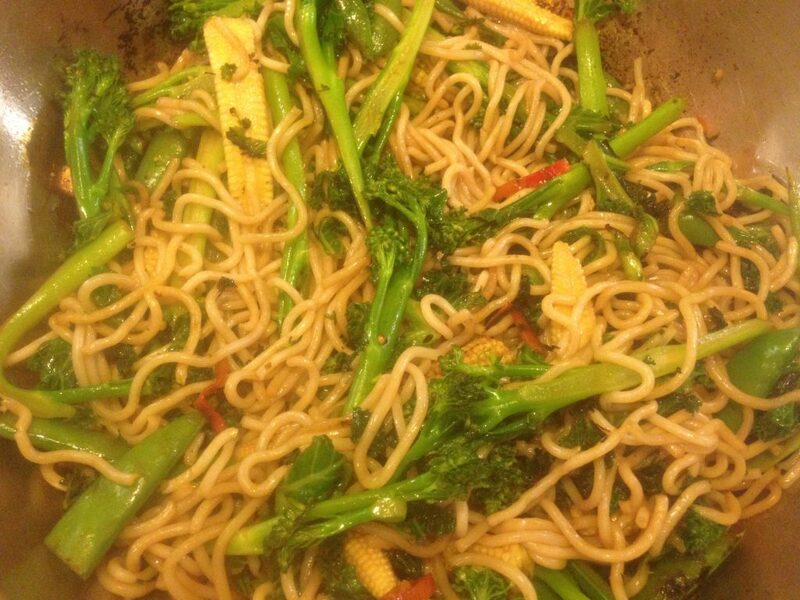 Continue to stir fry for 2–3 minutes. Cook until all the ingredients are coated in soy sauce and the vegetables are crisp and bright. Remove the wok from the heat. Add the spring onions, peanuts, sesame seeds and coriander and give it a big stir. Serve the vegetable pad thai on a plate or in a bowl and then squeeze the juice from the lime over the top.